We left Harding Point Campground under overcast skies. It seems that most of the time we have been in the St John area, the sky was overcast. Maybe it is my imagination or just the way I felt about the place. If I had to summarize the St John experience in one word, it would be, “disappointing.” I guess I had some higher expectations based on what I read in the various guidebooks and Internet sites I researched. So be it! Our drive to Hopewell Cape was relatively easy. 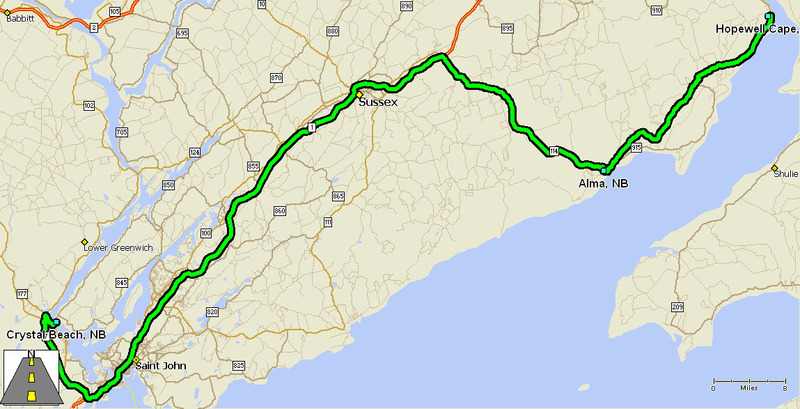 Half the trip was on a two lane, limited access highway where we were cruising at 110 km/hour. 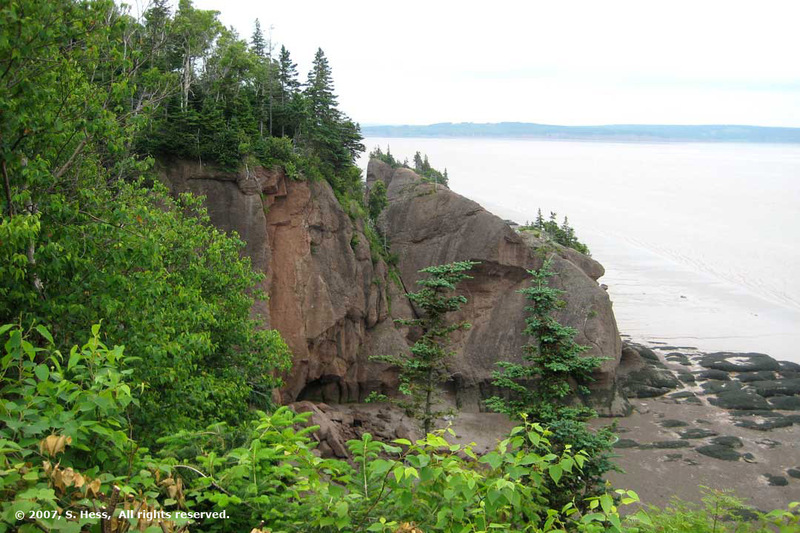 The other half was over a two lane road that wound through a number of towns and the Fundy National Park. 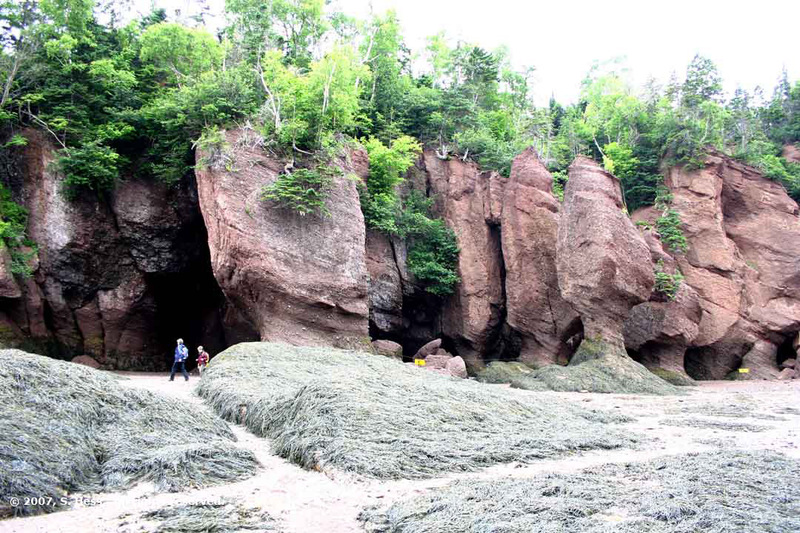 We got in the campground and set up and wanted to be at the Hopewell Rocks by low tide so that we could walk on the ocean floor. 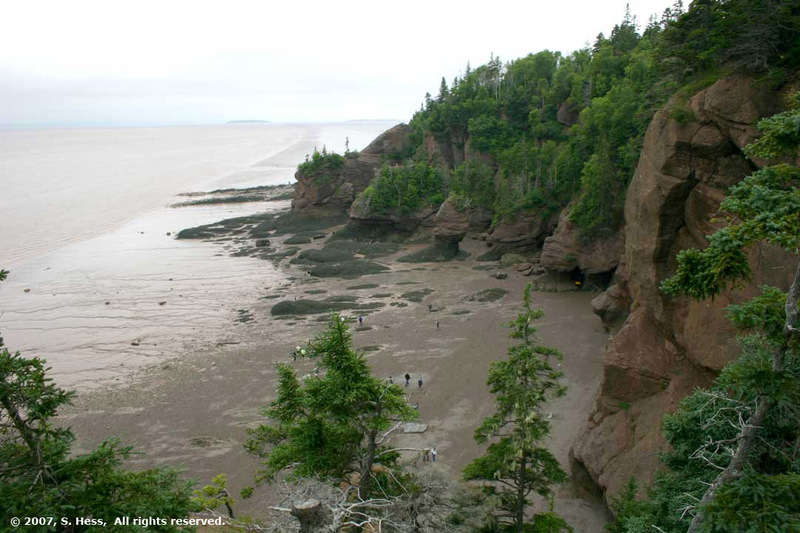 The eastern end of the Bay of Fundy, where the Hopewell Rocks are located, has some of the highest tides in the world. 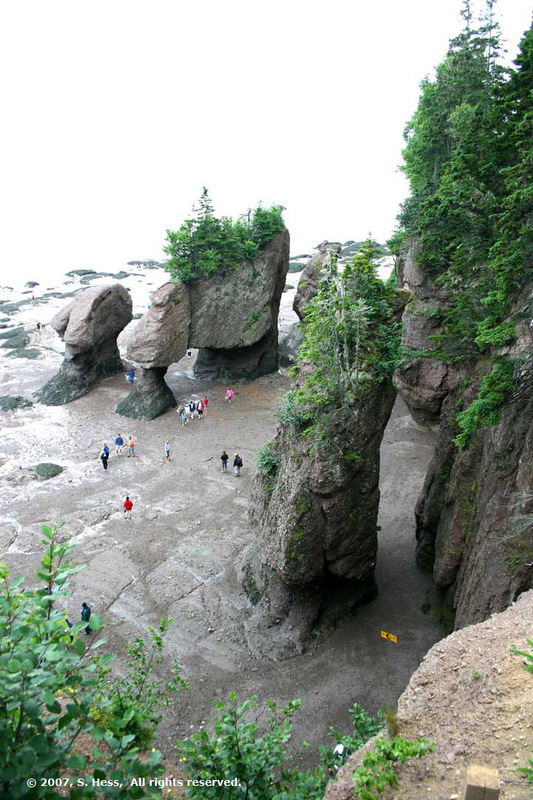 At the Hopewell Rocks, the difference between low tide and high tide is as much as 15 meters (45 feet). 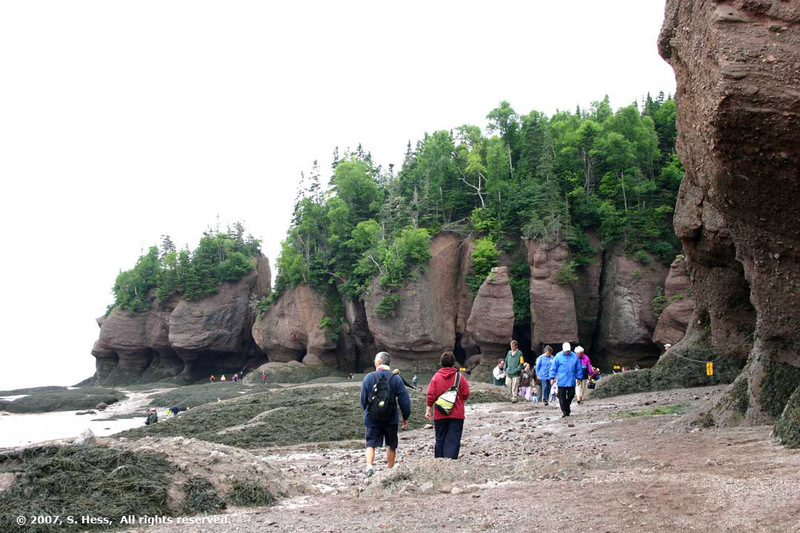 At low tide you can walk on the floor of the ocean at the base of the Hopewell Rocks, There are also tremendous mud flats that are dangerous to walk on (see pictures). 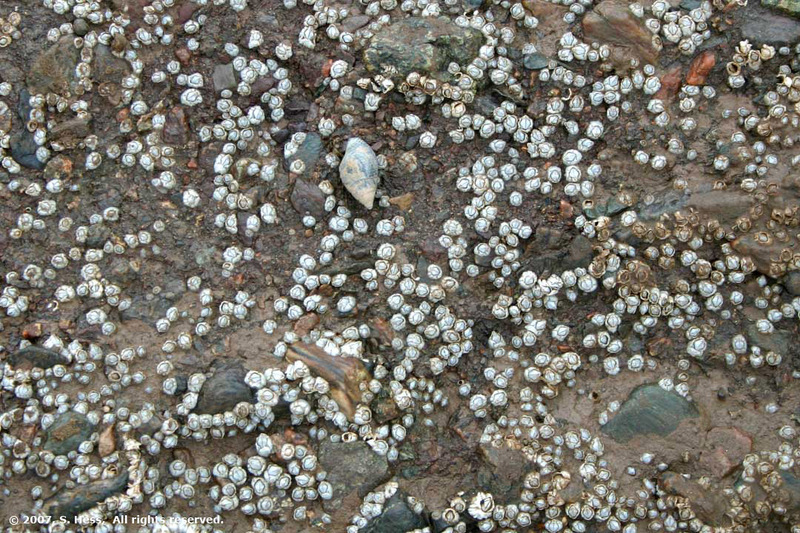 As you walk on the ocean floor, you can see the effects of the tide difference on the rocks. This area has limestone and conglomerate rocks. Conglomerate looks like concrete with relatively large rocks (aggragate). 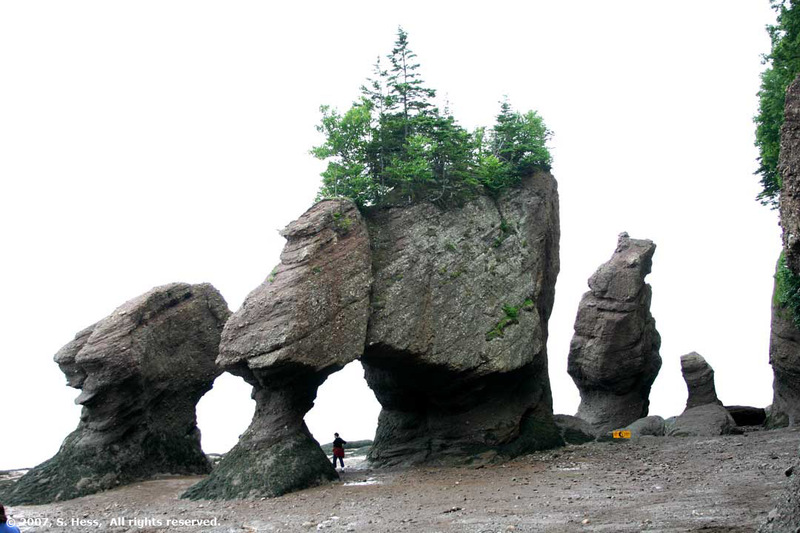 The action of the water has dissolved the limestone, which cause some of the conglomerate to collapse and create caves, arches and the rock features called flower pots. 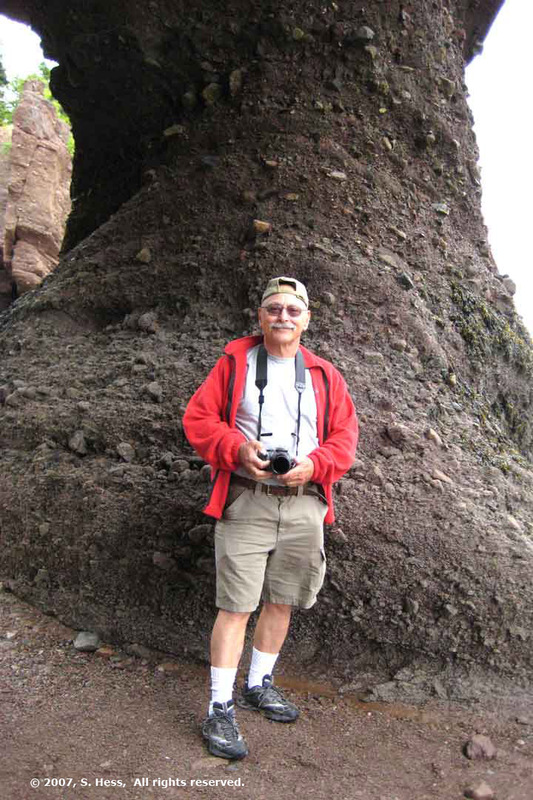 We plan to be back at Hopewell Rocks tomorrow morning to photograph the rocks at high tide. 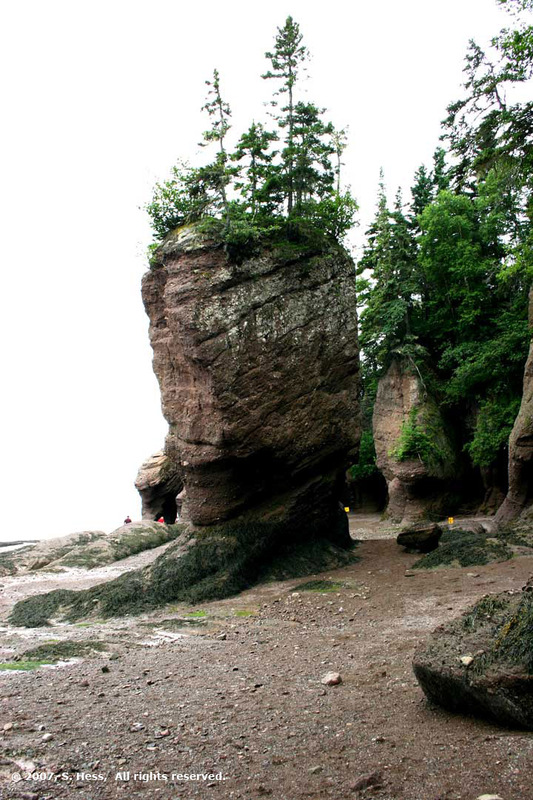 Some examples of the "Flower Pot" formations found at Hopewell Rocks. The picture in the upper left was taken from above the rocks. 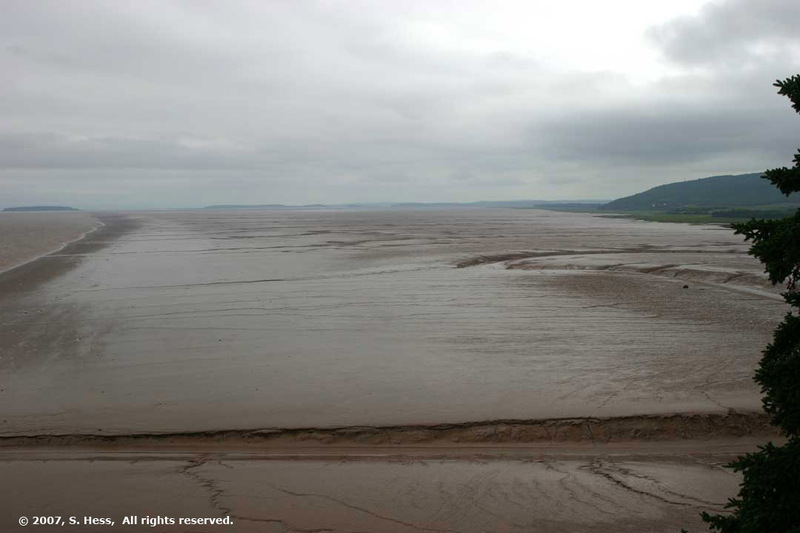 Mud flats at low tide. The shore is quite a distance from the low tide line. 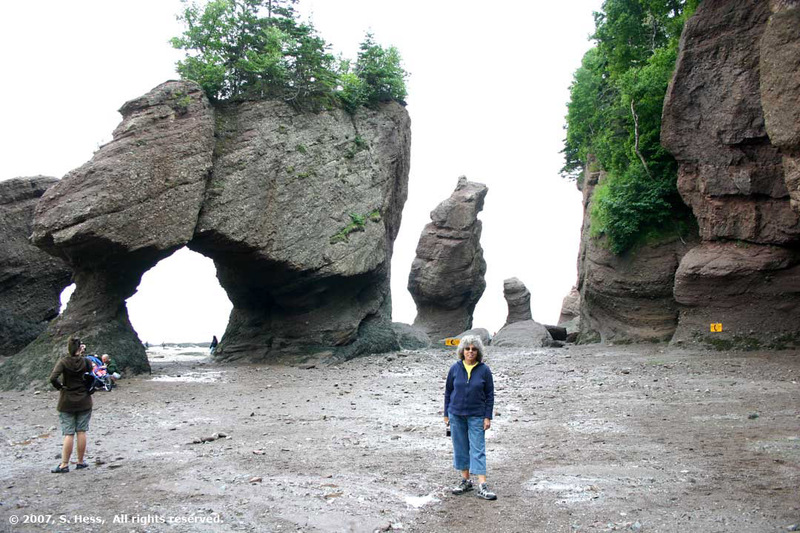 Susie's view of Hopewell Rocks. Nova Scotia is in the distance.